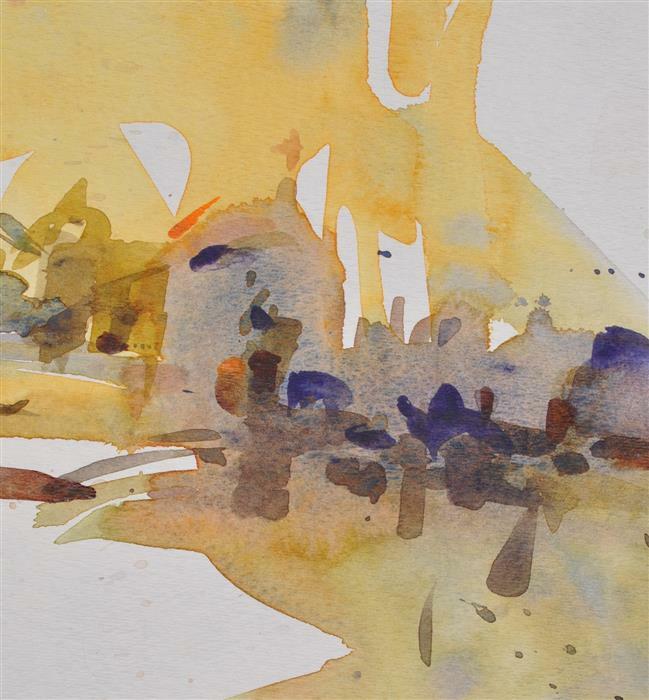 I painted this impression of a church in the early morning light. 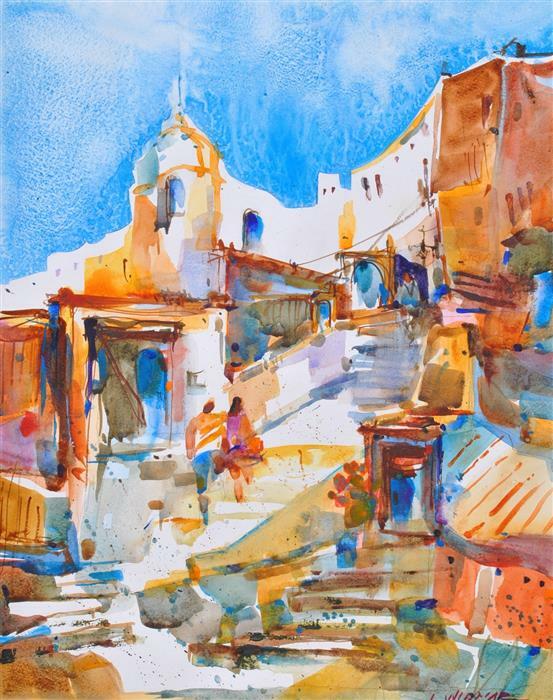 It is a 8th century Roman church ruin in an archeological area in southern Tuscany. 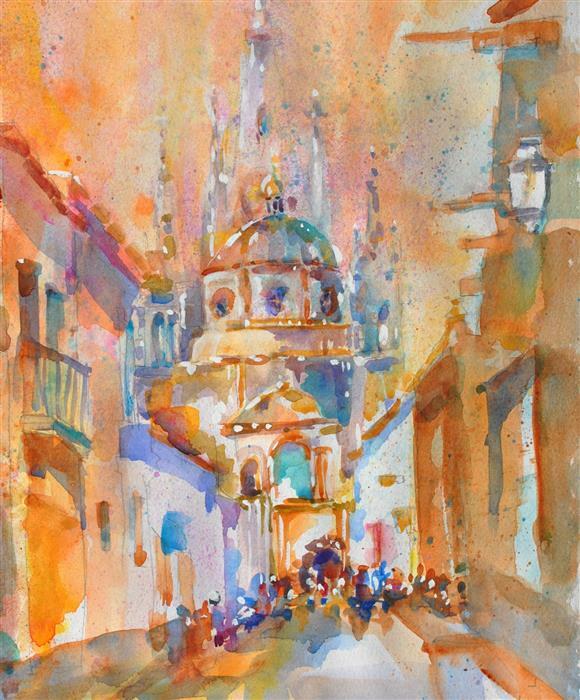 It is painted with transparent watercolors on 140# paper. 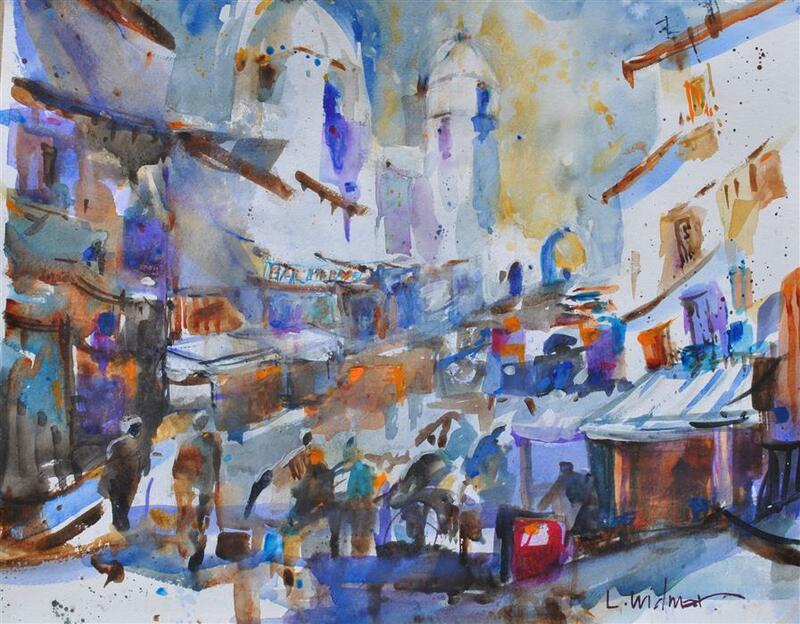 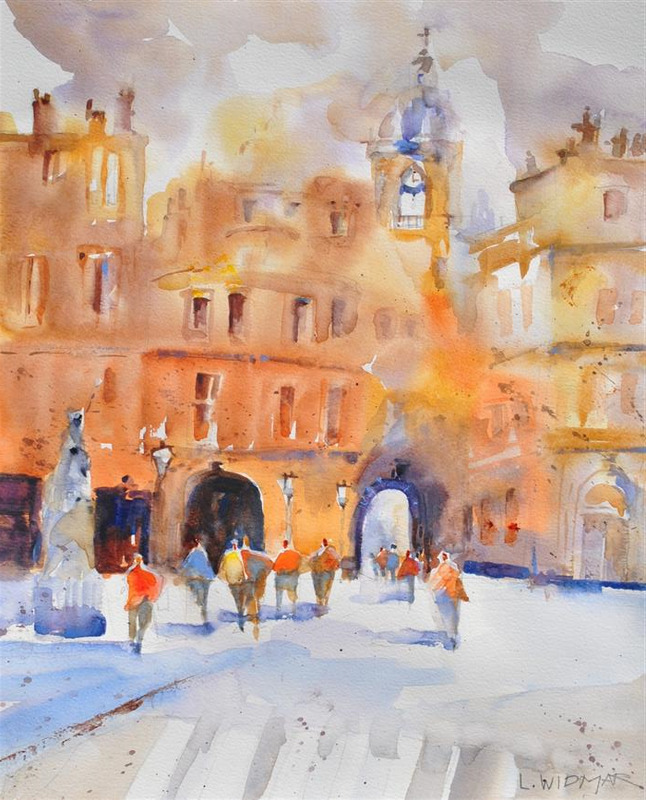 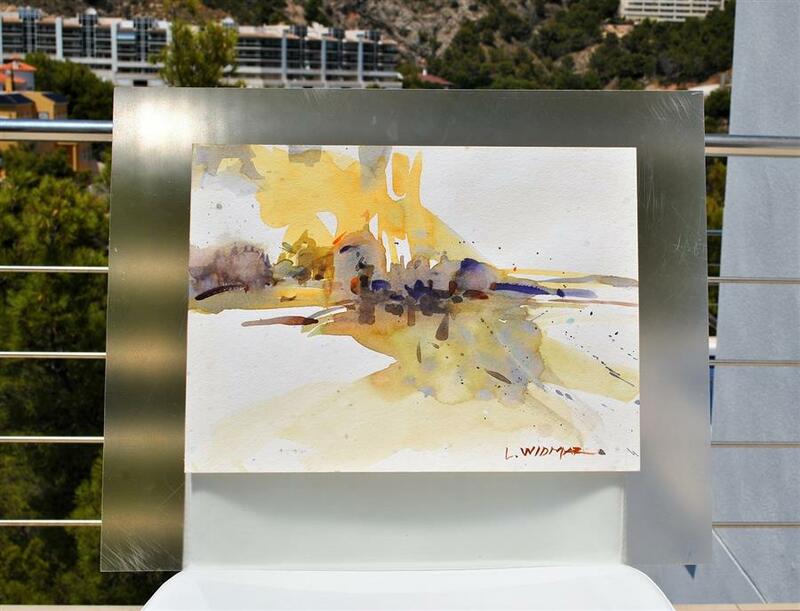 Lanie Widmar paints energetic watercolors of European landscapes and cityscapes. 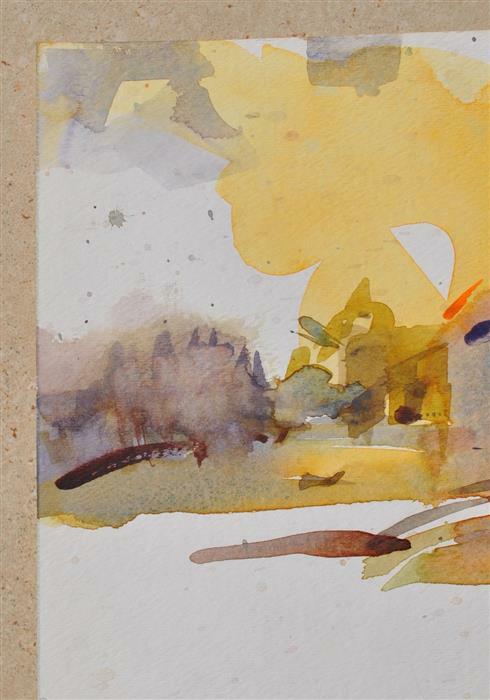 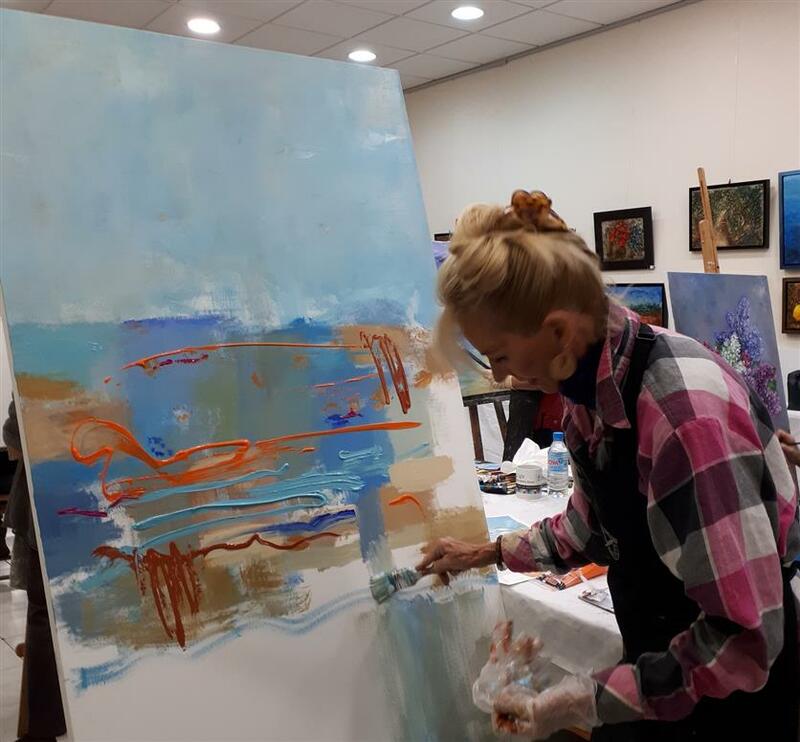 Her work hovers on the edge of abstraction and uses just enough pictorial imagery to suggest the scene. 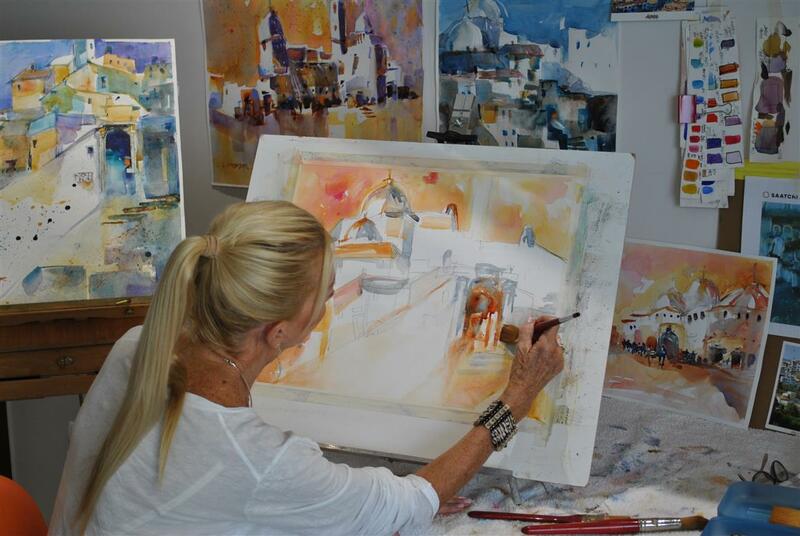 She strives to portray the essence of each location and allows the viewer to participate with his or her imagination. 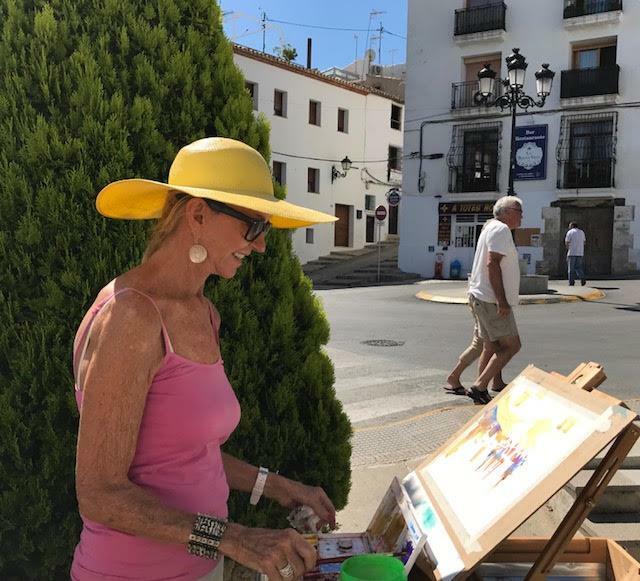 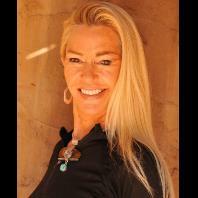 Lanie discovers her subject matter on her travels, where she photographs, sketches and paints en plein air.